I'm working as associate professor at the Dipartimento di Ingegneria dell'Informazione of the University of Florence, and I teach at the School of Engineering. My research work is in the field of Computer Vision, Multimedia and Pattern Recognition (I'm member of GIRPR). I mostly work on automatic video analysis, annotation and semantic transcoding. You can find more about my research browsing the list of my papers. I'm affiliated with the Media Integration and Communication Center of the University of Florence, and I spend most of my time there. I received the Laurea Degree in Electronics Engineering (Laurea in Ingegneria Elettronica) from the University of Florence in 1999, and Ph.D. in 2004. From 1999 to 2002 I've worked in the EU IST ASSAVID Project, that dealt with the automatic annotation of sports videos. The other project partners where the University of Surrey, Sony BPU UK, BBC, ACS and IDIAP. From 2004 to 2007 I've worked within the DELOS Network of Excellence on Digital Libraries, funded by the EU Sixth Framework Programme. Then I've worked on another EU research project (2008-2010): VIDI-Video. The goal was to allow semantic access to video content by means of detection of a large number of concepts. The prototypes that have been developed within the project, capable of recognizing more than 1000 audio-visual concepts, have successfully participated to NIST TRECVID. The other project partners were the University of Amsterdam, the University of Surrey, the Centre for Research and Technology Hellas, Stichting Nederlands Instituut voor Beeld & Geluid, Instituto de Engenharia de Sistemas e Computadores, Computer Vision Center, Fondazione Rinascimento Digitale. Following this I've worked on IM3I (2010-2011) and ORUSSI. IM3I is a SME project whose objectives were the creation of tools for the accessing and presenting media content to users, offering a natural and transparent way to deal with the complexities of interaction, while hiding them from the user. The tools have been designed according to a SOA paradigm, so that they can be integrated into existing networks, to support organisations and users in developing their content related services. ORUSSI (Optimal Road sUrveillance System based on Scalable vIdeo) is another SME project that focuses on road monitoring through a network of roadside sensors (mainly cameras) that can be dynamically deployed and added to the surveillance systems in an efficient way. The main objective of the project is to develop an optimized platform offering innovative real-time media (video and data) applications for road monitoring in real scenarios. The most recent EU research projects on which I've worked is euTV. euTV is a SME project whose objectives are to connect publicly available multimedia information streams under a unifying framework and to allow publishers of audio-visual content to decide themselves whether the content will be available and for how much, basing the subscription/unsubscription mechanisms to Media RSS feeds that can be fully configured from the content provider. The backend of EUTV and where the research of this project has to be performed, is a scalable audio-visual analysis and indexing that allows detection and tracking of Topics of Interest (TOI) according to a user profile and given search terms. The front-end is a portal that displays the syndicated content and allows all users to perform search, query refinement and faceted presentation of the results. euTV and IM3I have graduated into commercially available products (I've no affiliation with them): On:meedi:a and mymeedia. My current research activity deals with social media analysis and annotation. The current research project on which I'm working, funded by the Italian ministry of University, Instruction and Research, deals with the creation of smart museums and smart cities. I work also on semantic video coding, and I've collaborated with SELEX ES on the implementation of these algorithms for Terrestrial Trunked Radio video communication systems. My teaching experience includes Unix Fundamentals, CISCO CCNA, XML and Video Editing in the Master on Multimedia of the University of Florence - years 2000 through 2014. I've taught "Sistemi di Elaborazione delle informazioni" at the School of Medicine (Fisioterapia) - years 2006 through 2010. I have been teaching assistant for Progettazione e Produzione Multimediale (in particular MPEG 1, 2 and 4, XML) and Database Multimediali (in particular MPEG 7) at the School of Engineering. I've also taught "Laboratorio di Tecnologie dell'Informazione" at the School of Engineering in Firenze. Currently I'm teaching "Programming" an undergraduate level course about OOP, C++ and design patterns and "Parallel Computing", a graduate level course about programming parallelism techniques, from threads, OpenMP, MPI, Lambda architecture, GPU and CUDA, etc. These courses are taught at the School of Engineering.I've also started a "GPU Programming basics" course in two PhD courses. I'm currently associate editor of the IEEE Transactions on Multimedia; I serve the scientific community as chair and TPC member of several conferences; check the full list in my Conference and institutional activity page. I've been involved in the organization of the European Conference on Computer Vision 2012, held in Florence on 7-13 October, and in the organization of ICCV and ECCV workshops, in particular in the Workshop on Web-scale Vision and Social Media (VSM 2015) and Workshop on Web-scale Vision and Social Media (VSM 2012) and ARTEMIS 2012. I've worked also for the organization of ACM Multimedia 2010, that was held in Florence on 25-29 October 2010, and for some other conferences and workshops. I was also involved for a couple of years in ScientifiCareers.com, a job board site for the multimedia community.The goal was to promote the connection between the world of research and the industry, and to stimulate the exchange of expertise between different research teams. ScientifiCareers was a free platform where professionals, industries and academic institutions can post their job requests in order to get in contact with young and talented researchers all over the world. Authors are encouraged to submit previously unpublished research papers in the broad field of content-based multimedia indexing and applications. In addition to multimedia and social media search and retrieval, we wish to highlight related and equally important issues that build on content-based indexing, such as multimedia content management, user interaction and visualization, media analytics, etc. Additional special sessions will be organized. Applications of multimedia retrieval, e.g., medicine, lifelogs, satellite imagery, video surveillance. The CBMI proceedings are traditionally indexed and distributed by IEEE Xplore and ACM DL. 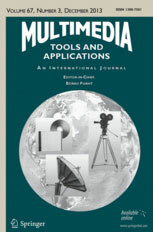 In addition, authors of the best papers of the conference will be invited to submit extended versions of their contributions to a special issue of Multimedia Tools and Applications journal (MTAP). The ACM Multimedia 2016 Video Program is intended to allow researchers to demonstrate their research results without having to bring the equipment for a “live” demo. Videos should present innovative research results, such as merging augmented reality and real world entities, showing the results of surveillance video processing, the use of multiple cameras, camera arrays or video-sensor networks or communicate complex ideas through novel means and solutions, or creative applications or multimedia artistic productions in new contexts. The scope of the research presented in the video should be relevant to any of the major research areas. The maximum length allowed for video papers is 4 pages with one extra page for references. At the presentation, the principal author of each accepted video should present the contribution using poster along with video playback with their PC. Accepted videos along with papers will be published in ACM DL. The size of video should be less than 500MB. Register and submit your paper (up to 4 pages plus one extra page) via the ACMMM 2016 submission website before the submission deadline. Author(s) should submit the video to the file hosting service within 72 hours after receiving the notice, using the submission ID as the file name. Format: ACM conference style (4 pages plus one extra page). For any questions regarding submissions, please email the Video Program Chairs at video.program@acmmm.org. Call for Papers for Multimedia Tools and Applications Special Issue on "Content Based Multimedia Indexing"
Multimedia indexing systems aim at providing easy, fast and accurate access to large multimedia repositories. Research in Content-Based Multimedia Indexing covers a wide spectrum of topics in content analysis, content description, content adaptation and content retrieval. Various tools and techniques from different fields such as Data Indexing, Machine Learning, Pattern Recognition, and Human Computer Interaction have contributed to the success of multimedia systems. Although, there has been a significant progress in the field, we still face situations when the system shows limits in accuracy, generality and scalability. Hence, the goal of this special issue is to bring forward the recent advancements in content-based multimedia indexing. Applications of multimedia retrieval: medicine, lifelogs, satellite imagery, video surveillance, etc. All the papers should be full journal length versions and follow the guidelines set out by Multimedia Tools and Applications: http://www.springer.com/journal/11042. Manuscripts should be submitted online at https://www.editorialmanager.com/mtap/ choosing "CBMI 2015" as article type. When uploading your paper, please ensure that your manuscript is marked as being for this special issue. Information about the manuscript (title, full list of authors, corresponding author’s contact, abstract, and keywords) should be also sent to the corresponding editors (see information below). All the papers will be peer-reviewed following the MTAP regular paper reviewing procedures and ensuring the journal high standards. See old news and announcements. Updated page and added pages about new courses.